Our Snack of the Month for October is here! This month we are excited to welcome the many flavors of Bitsy’s snacks and share them with you and your kids! Bitsy’s snacks are not only delicious but are also nutritious and easy to get your kids to try and enjoy! These snacks were created to make eating veggies a bit more fun, while also keeping them healthy. 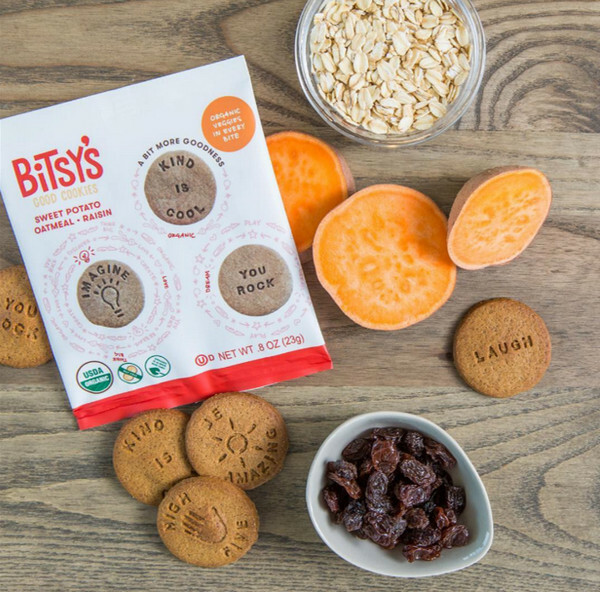 Bitsy’s snacks are baked with organic veggies and are all made in a peanut-Free and tree nut-free facility, which makes them a perfectly safe school snack, and who doesn’t want that? These snacks are nutritious, delicious, and full of fun. All snacks contain a variety of flavors with some snacks even containing creative messages! As amazing as the flavors are, so is the purpose of this brand! Bitsy’s gives a bit more to making the world a better place, one snack at a time, through donations of their healthy snacks to schools and non-profit organizations that share the passion of giving back. This year, Bitsy’s is now donating a portion of their sales to organizations such as Whole Kids Foundation, that teach and inspire kids to lead healthier lives! To learn more about Bitsy’s, check out their website and their Instagram.